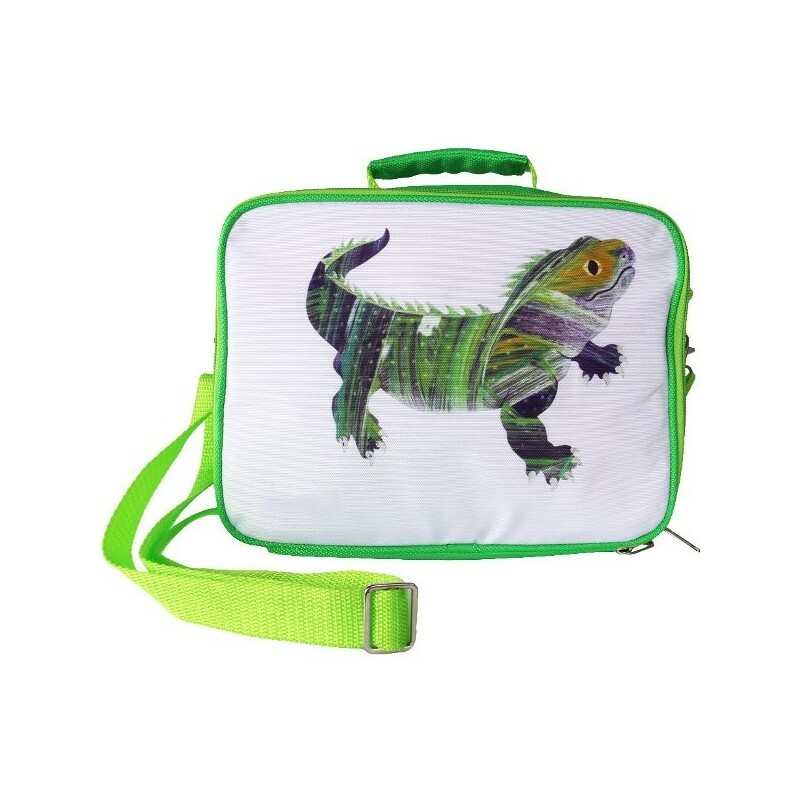 A BPA, PVC and phthalate-free insulated cooler bag.Comes with carry strap and inside pocket for storing lunch wraps or ice packs. 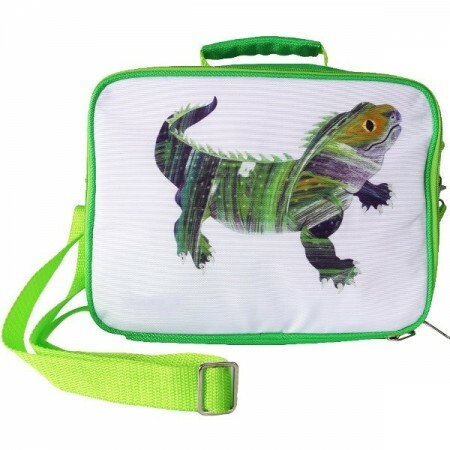 Suitable for storing Yumbox and Goodbyn lunchboxes. Green lizard design. Large enough to fit a bento box, containers, reusable wraps and drink bottle. Wipe exterior and interior clean with damp cloth. Bought this for my son who is starting school next year and he has loved using it already, easy for him to open and easy to clean. Fits plenty of food in it and with an ice pack will keep it nice and cool for school!